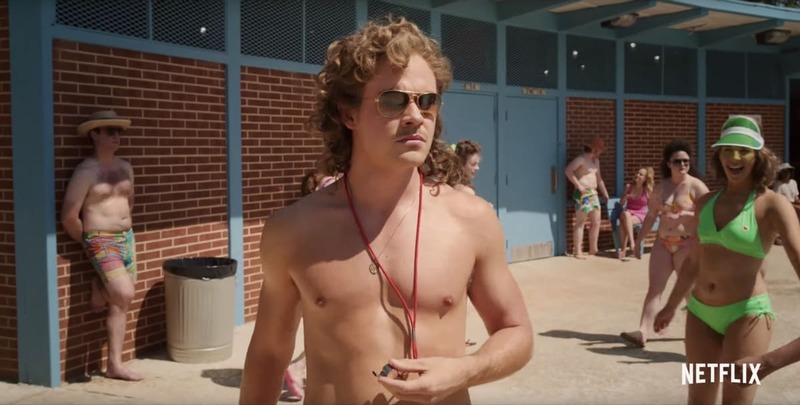 Netflix has unleashed the trailer for Stranger Things Season 3 and it’s full of juicy plot points about the upcoming season which launches on July 4. Check it out along with a gallery of images below. Mike Wheeler, Dustin Henderson and Lucas Sinclair are facing a new monster in adolescence, and Will, Eleven and “Max” Mayfield are back. Cary Elwes and Jake Busey join the cast as the mayor and a reporter. Maya Hawke (the daughter of Uma Thurman and Ethan Hawke) joins the cast as Steve’s co-worker at the mall’s Scoops Ahoy ice cream shop. Meanwhile, Billy the Bully is getting some attention as lifeguard at the Hawkins, Indiana pool.